S/S13 Fashion Week Red Lip Tutorial! Just when I thought designers had climaxed in the creative AW stakes, along came the AW13 collections and I’m totally bowled over. I went down to London on Sunday for a beauty event and the ever presence of Fashion Week Fever is infectious. It’s been a mix bag when it comes to colours and trends. AW13 had been turned on its head by allowing SS13 to take a holiday and transcend into its colour palette. If you don’t quite follow, check out Roksanda Ilincic. Baby pinks teamed with pops of neon, contrasting oranges and obscure lines met by warm rust toned makeup. It was the epitome of candy meets chic and I was in Roksanda heaven. Creams and neutral hues lent its colour pallets to a few collections. My highlight of day one had to be Bora Aksu. Exaggerated silhouettes with a sprinkling of colour and a twist on the monochrome trend with delicate nudes contrasted with opaque tights. Think lady meets gentleman following cinched in waists accompanied by a neck tie: genius. If you hadn’t already guessed, I’m totally loving the neon pop of late. With this said, I was so happy to see eye harming hues (in the best way possible) at Sass & Bide, House of Holland and Louise Gray. Gone are the days where AW meant dreary greys and miserable mauve. We’re of the generation where more is more and colour is meant to make a statement. One AW rule that has prevailed is the presence of oversized forms. Look to Topshop Unique and PPQ for dramatic shapes and straight lines. Next winter certainly breaks a whole host of rules but who said fashion anarchy was dead? plainQUIRKY’s very first vlog post! Hope you enjoy it! I’m all glittered out after the party season and there is just something about January, that seems to zap all life out of everything. Even the remnants of Christmas spirit can’t perk it up, so I’ve been looking for ways to be inspired and it has come in the creative form of nail art. I know, I know! Nail art has been around longer than Noah and his Ark but when you seem to be the type of person who is drawn to everything beauty based, creative nail art never seems to go out of trend. Last year I trained to become a fully qualified nail technician, meaning I could apply acrylics nails to the nation (well, the North West at least!) and was never fully inspired enough to want to do it long-term. That was until I began to discover how popular nail art had become, even trending on twitter as #manicuremondays, where trend conscious girls showcased their unique talons to the beauty world. I have been hooked ever since! So, I’ve dusted off my nail kit and i’ve been having a whirl at recreating some of the biggest trends from the galaxy nail to the simple yet effective leopard print! Nails are set to be HUGE next year, especially since ‘WAH nails’ featured backstage at last year’s London Fashion Week, sending models down the catwalk with enviable nails. Their houndstooth and half moon contrast nails have been inspiring fashionistas up and down the country! Even celebs have become nail icons from Rihanna’s stiletto nails to Nicola Roberts’ cute heart tipped talons – one of my fave! Magazines such as Company even have a dedicated section of their magazine to champion their readers own nail art. So, if you’re not already riding this bandwagon, I’d seriously consider getting yourself a ticket to ride because nails look set to dominate the fashion world this year and I’m certainly a fan! I’ve tried to be creative, so above are a few examples of a few designs I’ve tried for myself. It really will have you pulling out your best polishes and practicing. By now, you’re probably sick of trying to juggle being a fashionista on a short budget. Like me, the most fabulous designer offerings are often unaffordable, so its common sense to look to a cheaper alternative. The High Street is awash with items that marry so well with the latest trends, so you’d be silly to overlook it. Any stylish British woman (and American!) will know that Topshop is a must have name in your wardrobe. A lot of my own items have hailed from Topshop. As I used to be a Sales Assistant in one of their stores as a student, I’d learned the art of being stylish on a budget! 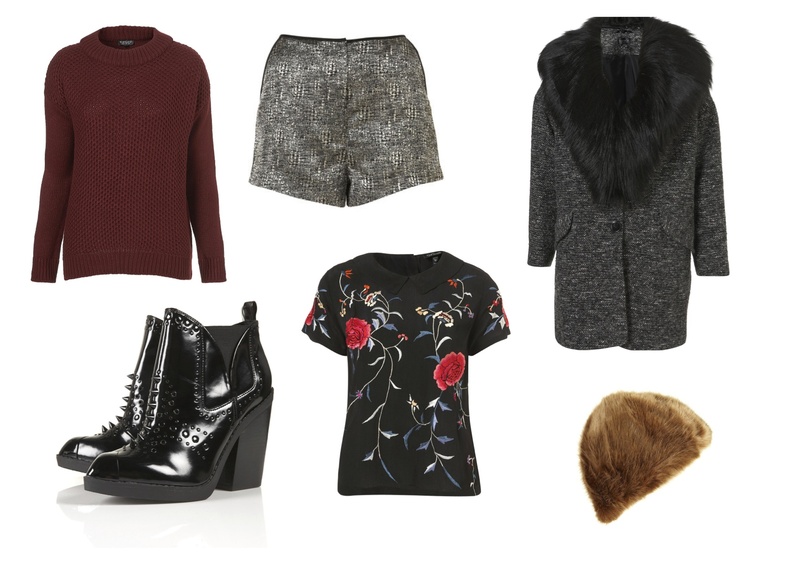 Worn by the likes of Nicola Roberts and Olivia Palermo, Topshop is a name to be trusted. With shows at London’s Fashion Week, the fashion world is recognising that the High Street is now a big contender in the style stakes. Although River Island can sometimes be like a jumble sale at Christmas, I have to give credit where it’s due. The brand is making huge attempts to improve it’s lines and move away from tacky to tolerable. I have to admit, I used to hate it but now, with new designers offering their eye, the brand offers more trend aware pieces at a pocket friendly price. So although we can observe the latest high end fashion from afar, for now, High Street is a deserving substitute and has my vote! So, i’ll admire these lovely treats from Topshop, above. With the top names in the hair industry continuously flooding the markets with new hair products, claiming to be the ‘elixir of life’ for you hair, its sometimes hard to know who to trust. I’m naturally brunette, so for me, it’s not hard to keep my hair in good condition or worry about its tone. It’s thankful for a decent conditioner and that’s about it! On the other hand, my sister bleaches her naturally brunette hair and as all women know, its sometimes a bit hit and miss whether or not bleach will decide to be a diva and turn your hair brassy or zap all condition from your locks. So it’s not as simple as a quick wash, condition and off you pop. With violet pigments to counteract any brassy undertones and neutralising any unwanted yellow, SACHAJUAN’s silver shampoo is a knight in shining armour for any woman with bleached hair. The brand promises volume, shine and stability and although some brands promise but fail to deliver, this is one brand you can trust. Although it comes with a hefty price tag (£20 shampoo & £22 for conditioner at Selfridges) it certainly doesn’t disappoint. Having trailed the market for a good finishing product for my hair and with a lot of wasted money, I’d given up on finding a decent product that would give me the result I wanted. Then in walked SACHAJUAN’s hair paste and hair spray and I can honestly say I would recommend to anybody these lifesaving hair gems. Most women know that hairspray can flake and cause embarrassment or coat the hair with an unwanted sticky residue. However, these words are banished from the SACHAJUAN vocabulary and are side effects that will not be found when using these products. 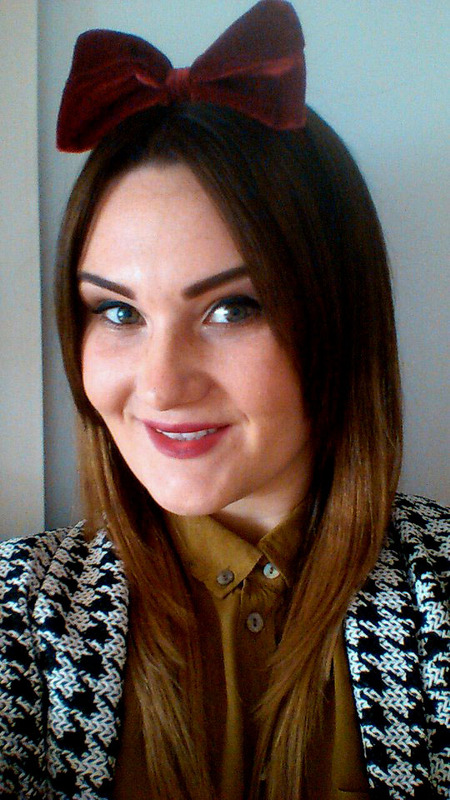 Sleek straight hair with a brilliant hold. GO AND TRY IT, NOW! Before I bore the back legs off you with how good this brand is, I’ll finish it on this note. Harper’s Bazaar have championed this next products as the MUST HAVE hair product for SS13 hair. SACHAJUAN’s ocean mist is a leave in formula that leaves you with perfectly tousled hair without the effort of hours sat in front of the mirror. So long rollers and pin curls! Next season it’s all about the loose waves. Think Versace at this years Milan fashion week and you’ll have hair that pioneers next seasons hottest hair trend. The Catwalk: So Last Season! I’m in love with Mulberry’s tongue in cheek fashion statement. 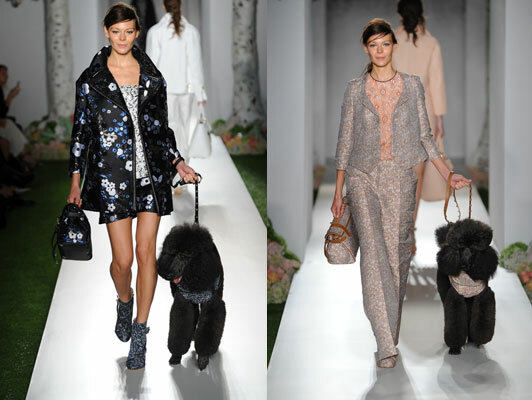 They’ve put a whole new spin on the meaning catwalk and staged their whole SS13 show around the DOGwalk concept. Love it! Parading down the catwalk with an adorable pooch in tow, they turned the concept of the catwalk completely on its head! Not only is their collection enough to have you in designer heaven, with the addition of the canine, you will be undecided on whether you want a new dog or a new handbag as both are equally as adorable. With Olivia Palermo and Alexa Chung in the FROW, Mulberry offered a refreshing palette of colours that sat easy on the eye. Plenty of leather and without a monster in sight (as seen in their AW12 campaign) the collection already has a huge hype surrounding it. An attention to detail like no other, Mulberry has been one of my stand out shows at the close of this year’s London Fashion Week. When it come to style I love a bit of thrift. It’s not always practical to go out and spend a huge amount on the latest accessories so sometimes, a girl’s gotta do, what a girl’s gotta do and that’s get creative. Christopher Kane didn’t let the Fashion Pack down at SS13 London Fashion Week. At the first sight of bows, I was in style heaven. Bliss. What make this even sweeter is that the look is so easy to recreate and a little more heavenly on your purse than a designer price tag. Go the whole nine yards and recreate a bow tie. Take a look at this video, you’ll be wanting to get to your local haberdashery a-sap! I’ve wanted to recreate looks from AW12 runways for a while now and it’s been apparent, that at New York Fashion Week the want for sleek hair will transcend well into SS13. AW12 saw shows from Jil Sander, Erdem & Jonathan Saunders flaunting glossy side parts. Fast forward to SS13 and the trend is seen again at shows such as Victoria Beckham and no wonder why: it’s simple and gorgeous! I’m very particular with my hair. That’s why I try new products with massive trepidation but I’ve discovered a product that my hair is having a love affair with. A product I’ve been more than happy to review. Developed by the hair masterminds at Toni & Guy, label.m is coming into its own in the world of not only hair but fashion too. Used at 42 shows backstage at London Fashion Week AW12, label.m was the only brand needed to create the look again. There are so many products out there can leave your hair lank and heavy and this is something you want to avoid like the plague. Label.m Blow Out Creme is guaranteed to give you the result you want without leaving you with lifeless hair. Use after label.m Gentle Cleansing Shampoo & label.m Intensive Repair Conditioner, your hair will be versatile enough to work with and style without a trace of frizz and every sign of health and shine! I really do love the finish these products give my hair. My hair has been ombred, so my ends have been bleached and as every girl knows: Bleach is a killer for your locks! This conditioner is a life line, believe me. Think side parts, sleek and with no strays and you will be on trend! Finished with label.m Shine Spray & label.m Hold & Gloss Spray & a blood red velvet bow (to give a fashionistas nod to the Goth Trend) your hair will be sure to have heads turning.